Selling your home is no easy feat! The home selling process takes time, research, and labor. It’s easy to find numerous how-to tips on the right way to sell your home, but you’re not often given a list of things to avoid. In the midst of all the things you should do, there are also things you shouldn’t do. Take note of these 5 things that may be keeping your home from selling! When my husband received orders to our first duty station, we were excited about a little townhouse we found. But when we pulled up we saw that the yard was overgrown, the trim was lifted in places, and the bathrooms were not clean. There had been obvious repairs made to the bathrooms, but no one had bothered to vacuum up the mess. If you have pets, be sure to remove evidence that you do. People associate pets in the home with damages, so it would be a mistake to leave out water bowls, kennels, and pet hair on the furniture. On that note, basic cleaning and reduction of clutter is important, too. 2) Showing your house empty. Sparsely decorated rooms may reveal space availability, but buyers need to connect a purpose for the room. Staging your home helps it sell. Research shows that sellers who stage their home properly not only sell their home faster, but also sell it for more than those that don’t. For more help, check out Home Staging Tips from MBO. 3) Using poor quality photos. The first impression is made long before the buyers pull up to the curb; it happens when they see your property listing online. That’s why it's so important that you have phenomenal photos showcasing your home. Capturing high quality photos can be difficult, so consider hiring a professional for this. If you plan on taking them yourself, follow these guidelines to get photos that leave a lasting impression. You’re attached to your home. You spend a huge portion of your time there, so it’s completely natural to feel emotional. But those emotions have no place in a home sale. Actually, letting your emotions into the sale will typically cause you to a) overprice your home or b) scare potential buyers away. So it’s best to leave your emotions at the door. Asking too much for your home will limit your potential buyers. Before they even step foot inside, people screen homes by using the price search tool available on sites like MilitaryByOwner, Zillow, Trulia, and Realtor.com. If you overprice your home, a portion of potential buyers won’t even see your listing. And those that do will realize they can either spend the same amount of money and purchase a home in a better area or save some money and buy a house nearby. If you’ve made upgrades or improvements to your home, be realistic as to how much value they add to the price of your home. Research comparable listings in the area and remain relative to their prices so you can become a realistic competitor on the housing market. See the following video for more information and then check out more home selling videos here. 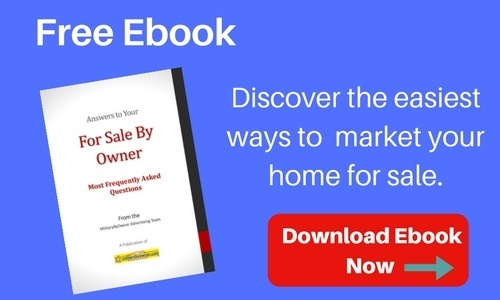 As you prepare your home to sell, be sure to avoid these five home selling mistakes and take advantage of the tips MilitaryByOwner offers to help your home to sell more quickly!